Georgia O'Keeffe was famous for painting exactly what she wanted, whether flowers or skulls. Who would ever dare to tell her what to paint? The Hawaiian Pineapple Company tried. 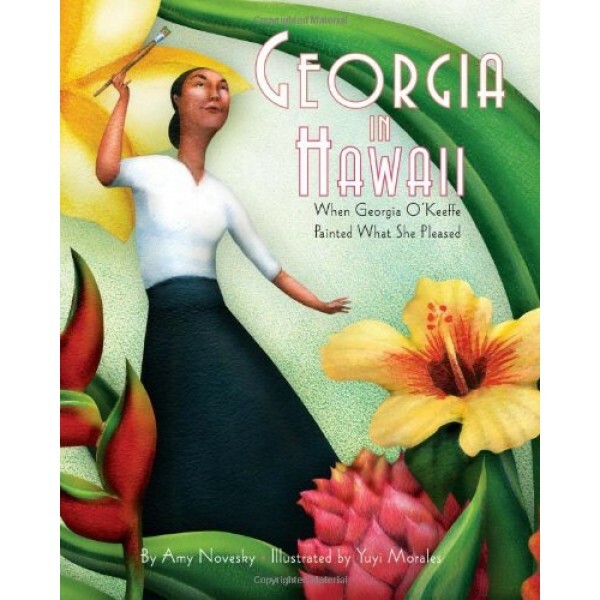 Luckily for them, Georgia fell in love with Hawaii. There she painted the beloved green islands, vibrant flowers, feathered fishhooks, and the blue, blue sea. But did she paint what the pineapple company wanted most of all? Amy Novesky's lyrical telling of this little-known story and Yuyi Morales's gorgeous paintings perfectly capture Georgia's strong artistic spirit. 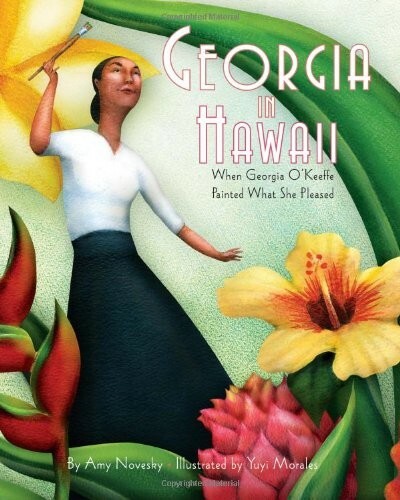 The book includes an author's note, illustrator's note, bibliography, map of the islands, and endpapers that identify Georgia's favorite Hawaiian flowers.